Rivington Park Care Home, Chorley is managed by Venturi Healthcare and is situated near to the town centre, close to transport links and a variety of local shops. 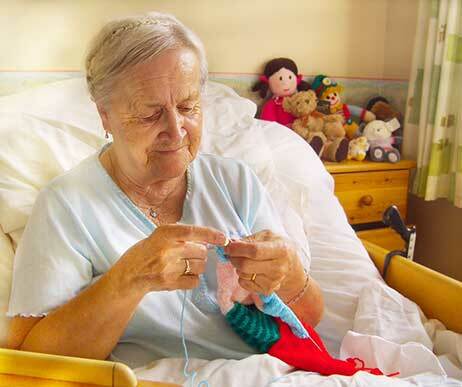 The home provides personal and nursing care for up to 25 individuals aged 65 and above. Our accommodation is over two floors, accessed by a passenger lift for ease. Each floor has its own lounge and dining area where our Service Users can relax and social with others. We offer three double bedrooms with en-suite facilities and 19 single bedrooms. From the ground floor lounge there is access to an enclosed patio area, with flowers, shrubs and garden furniture. There is a small number of car parking spaces to the side and back of the premises for those visiting their loved ones. The primary aim of Rivington Park Care Home is to provide a warm relaxed atmosphere. Each service user will have their own personalised care plan tailored to individual needs, service users/relatives will be involved in the care planning process and reviews to enable them to continue to live a normal life as possible maintaining independence allowing for choices, rights and inclusion etc. Service users’ needs will be met in privacy maintaining their dignity and respect at all times. We have a dedicated Activities Co-ordinator at Rivington Park Care Home called Trish. She has worked at the home for 5 years and is widely experienced in providing fun and stimulating activities for our Service Users. We have a robust monthly Activities Programme which includes group activities on a daily basis, e.g. 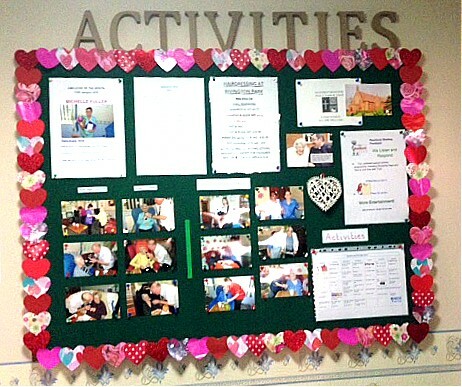 crafts, games, exercise sessions, quizzes, pampering, gardening, flower arranging. 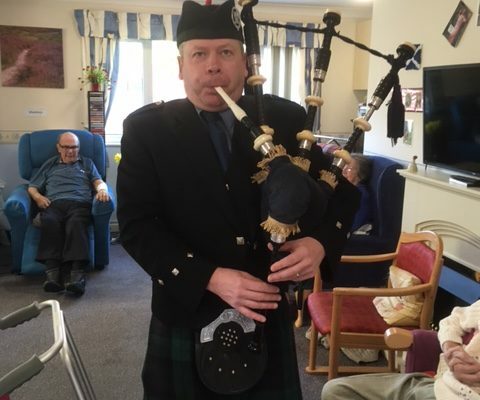 We also hold regular ‘Themed days’ and arrange for entertainers to come in to the Home, as well as organise trips out in the local community. 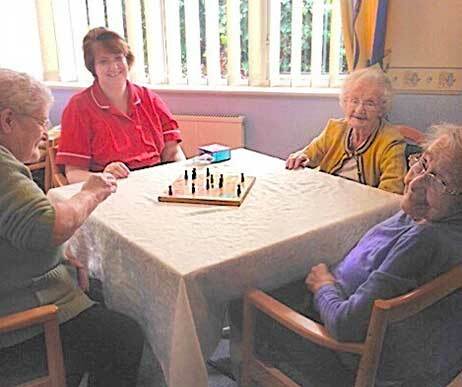 ‘One to one’ activities are available for people who are unable to leave their room for health reasons or wish to not participate in group activities. All activities are tailored to suit an individual’s needs, interests and capabilities, always taking into account their personal wishes and choices. 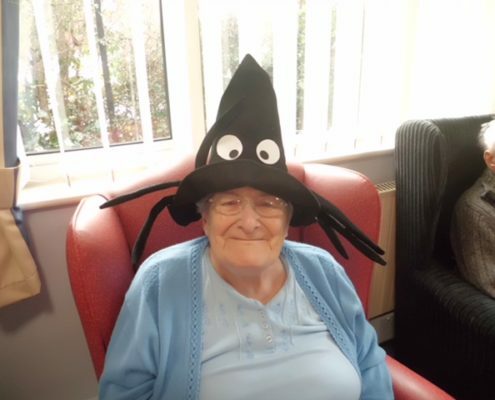 Every day is different here at Rivington Park Care Home with the emphasis on enjoyment and stimulation. I am, Pat Dixon Home Manager of Rivington Park Care Home, Chorley. I joined Venturi Healthcare in July 2016 and have thoroughly enjoyed working for the group so far. 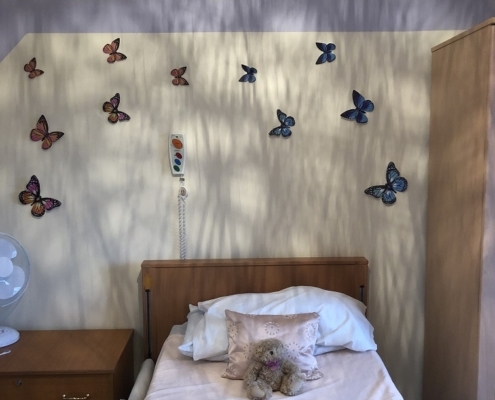 My aim to is ensure the care service delivered at Rivington Park is of the highest standard, I want to provide a stimulating, loving and active environment for the residents and maintain a happy work place for our staff team. 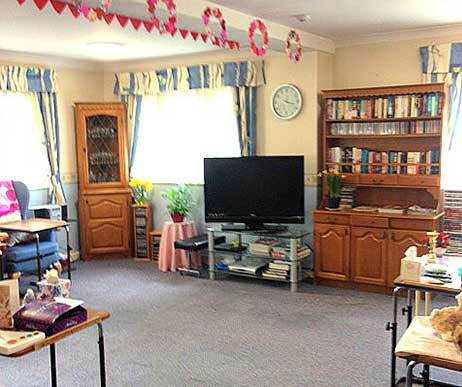 Our care home is equipped to provide residential or nursing support for elderly people and also people who have been assessed as requiring Continuing Health Care. Our team are well equipped to meet and advise the care needs of each individual requiring care. Here at Rivington Park, we care for and support people living with a broad spectrum of conditions including; Parkinson ’s disease, sight impairments, stroke care, hearing impairments, cancer care, cardiovascular diseases, musculo-skeletal conditions, diabetes, pulmonary disorders, incontinence, osteoporosis, coronary heart disease.